Friday saw the publication of the Northern Economic Futures Commission (NEFC) final report. The two top line messages are that the northern economy is too large to ignore and thus revitalising it is important for national prosperity. Spurring on Northern growth is dependent on not one silver bullet but a combination of improving skills, infrastructure, innovation, investment and governance. A key factor in tackling these challenges is increasing the supply of high-quality apprenticeship places and equipping young people with the skills needed for gainful employment. The National Apprenticeship Service and its partners probably need to double the number of young people in advanced apprenticeships by 2015 to 60,000. To do this we need to shift funding out of intermediate apprenticeship places for the over-25s and undergo a major expansion of pre-apprenticeship training programmes in northern further education colleges. The development of local apprenticeship hubs or associations that bring together employers, training providers and trade unions to plan and deliver apprenticeship places is helping with this. More fundamentally, if we are to better match local future employer needs with local skills training provision, local authorities and employers must have more say and greater control over public funding for apprenticeships and training. Localised approaches to skills policy have been highly effective in areas such as Michigan, Brandenburg and south Netherlands. By devolving a sizeable proportion of skills and welfare-to-work funding to local authorities and their partners in city-regions, we can replicate this approach. Local stakeholders are best placed to identify leading vocational centres of excellence focused on the key growth sectors and aligning public resources from all levels to deliver more coordinated and effective skills provision. In Manchester, in response to recent initial changes to skills policy and the associated funding opportunities, Greater Manchester Chamber of Commerce and New Economy (the economic development unit of the Greater Manchester Combined Authority) have created a joint venture to develop a unified Skills and Employment Hub. This will secure greater ownership of, and influence over, the skills system by employers, particularly SMEs. This partnership is also seeking a more effective alignment of the skills system with economic opportunities so that it can respond to current and future labour market demand at a city region level. We are determined to develop one skills service for Greater Manchester with strategic leadership from both employers and the LEP’s Skills and Employment Partnership so that investments can be coordinated to deliver the maximum value and service. To enable initiatives like this to happen across the North, devolution of budgets for adult further education, skills and apprenticeships must be accompanied by increasing the capacity for gathering robust labour market intelligence at the local level and the taking of further steps to integrate employment and skills policy. The latter could include giving city regions greater responsibility for co-commissioning the Work Programme. While skills will not grab the headlines, its effect on the attention-grabbing unemployment and GDP figures should not be underestimated. Skills policy is not hugely exciting, nor is it without complexity. It is though crucial to sustaining a thriving northern economy. 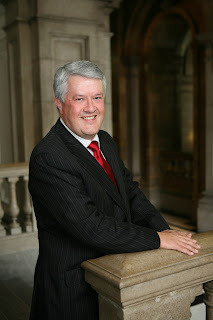 David McKeith is a commissioner on the NEFC and Chairman of Greater Manchester Chamber of Commerce.